Best Ever, Light as Down Cherry Vareniki. Vareniki – are a famous part of the Ukrainian national cuisine, along with Borsht, cured pork fat with garlic, pampushki(yeast rolls baked and soaked in herbed and garlicky broth), galushki etc.., In fact Vareniki are such a signature Ukrainian food thatsome cities in Ukraine, and even in Canada (that has a large Ukraininan community) built monuments to the Varenik. 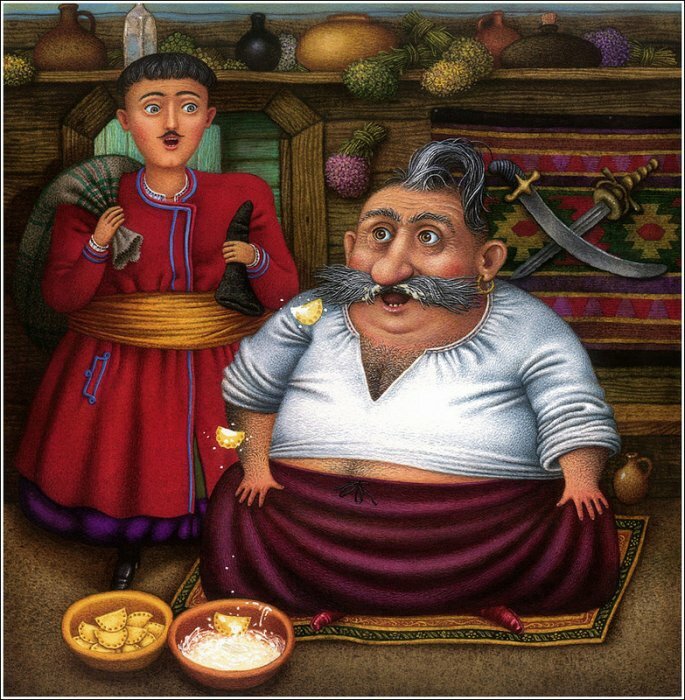 Ukraine has been a part of a few empires in the course of its history, and Ukrainians hungrily soaked up the cooking traditions of their invaders. Ukrainian cuisine has been influenced by Poles, Turks, Tatars, Austrians, Russians, Germans and it developed an amazing culinary tradition of its own. 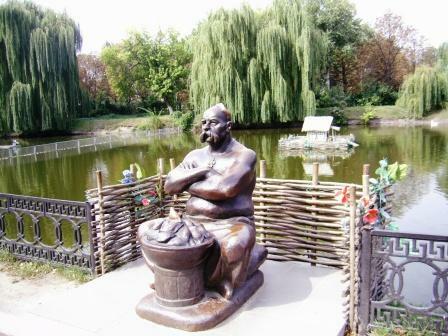 According to William Pokhlebkin( a scientist, historian, soviet dissident, and an author of over 50 books including multiple book on the cuisine on former Soviet republics) Ukrainians have to thank the Turks for the introduction of Vareniki to their cuisine. 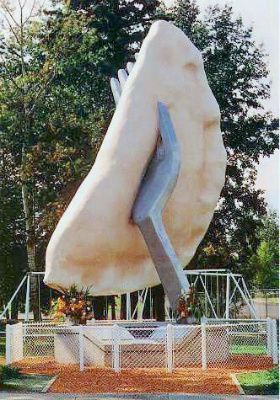 Turks brought their version of a filled dumpling a “Dush Vare” that was filled with lamb and spices. Lamb, however is not a traditional part of Ukrainian diet, and most of the spices were hard to come by, therefore soon enough the fillings evolved to a more accustomed to a Ukrainian palate taste of potato and fried onion, berries (sour cherries usually), buckwheat and mushrooms, cooked wheat, pickled and/or sautéed cabbage, fish, poultry, and variations of more common meat fillings usually include pork, veal, and beef. The preparation for the dough has many variations as well; some use sour milk(kefir, buttermilk, sour cream) or whey; some add boiling water, some add ice cold water , and then there’s the debate of whether to add eggs to the dough. 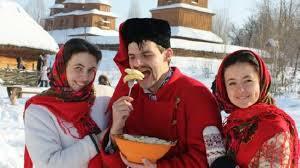 For a long time vareniki were not a part of the usual fare for the common Ukrainian, but rather a festive treat. They were a staple in the major religious and personal holiday feasts, a customary breakfast for the new bride after the first wedding night and for a new mother, representing a “filled” life of a woman. For me, Vareniki are forever associated with summer. 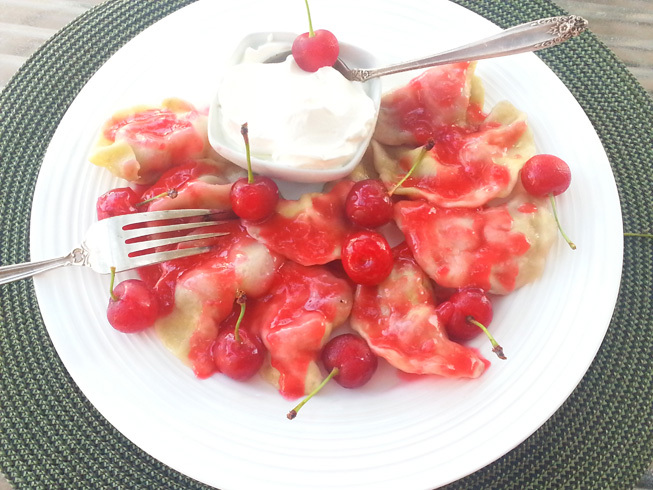 My mom and grandma made vareniki with fresh sour cherries, plums, apples, quince, gooseberries and red currants every summer. Nowadays, in the peak of berry season – my mother in law and I are making vats full of berry vareniki doused in berry sauce and sour cream for our loved ones. The countertop is covered with flour, the pot is boiling on the stove ready for the first batch to go in. We make haste cutting out circles of dough and filling them with berries, while everyone else in the household walk around us in circles filled with anticipation, nagging “Are they ready yet?” We cut, fill, pleat, cook, and butter the plump beauties batch by batch, until all the dough is gone. And then the table is set, kids gather round the dining table fighting over who gets to try the first varenik, a big bowl of vareniki doused in berry sauce is placed in the middle of the table, a bowl of sour cream is on the table right next to it, Mmm, one can rightfully expect that any minute the vareniki will magically plop into sour cream and fly toward the hungry mouths , kids start to eat , and for a little while the house turns silent, ahh – these are magical vareniki. The dough for these beauties is made with whey and water. I personally prefer and recommend making the dough with either kefir, buttermilk or whey:- the dough will roll better, won’t get stale and cook to a light and fluffy consistency. Because the dough is sour, once cooked the acid in the fruit won’t make them hard. 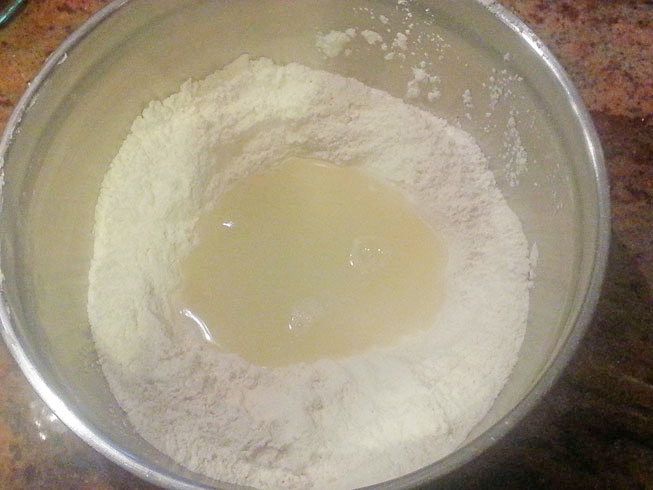 With your hands start incorporating flour into the liquid. The dough is ready when it’s not sticking to your hands. Depending on the flour you might end up using more or less of the indicated amount. 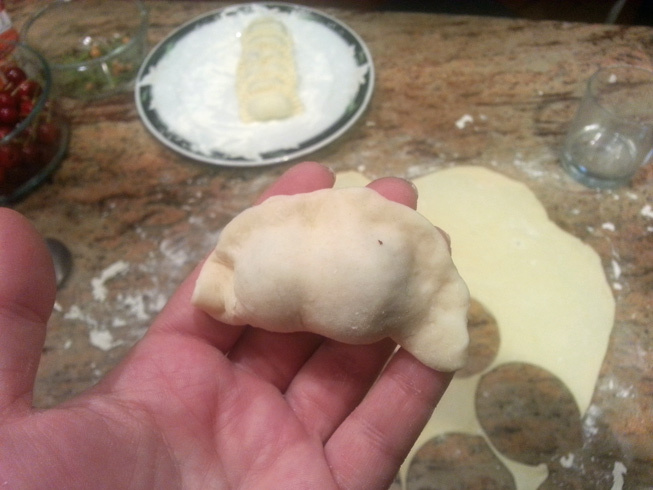 Cover the dough with plastic wrap and let it rest for about 20 minutes. Meanwhile prepare the syrup. Pit and chop 1 cup of cherries and place them into a sauce pan, add about 1/4 cup water, 2 tablespoons sugar and cherry pits. Let everything simmer until the sauce thickens. 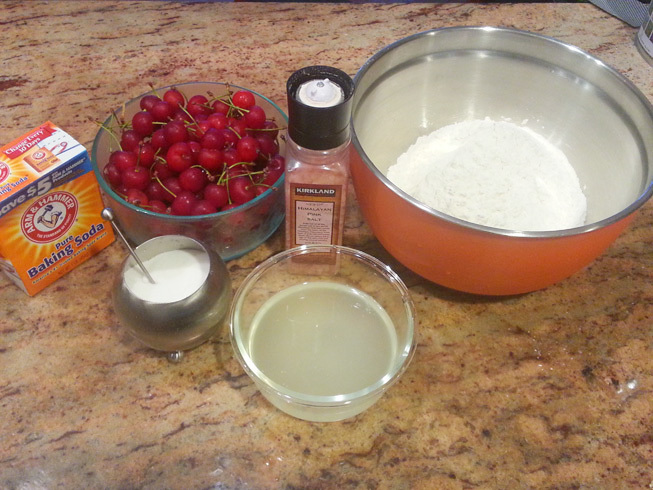 You can add about a teaspoon of corn or potato starch if you want it thicker(or if you’re using canned pie cherries). Let syrup cool. If you plan to cook the vareniki right away – fill a large pot with water, add about 2 teaspoons salt to the water and bring it to a boil. 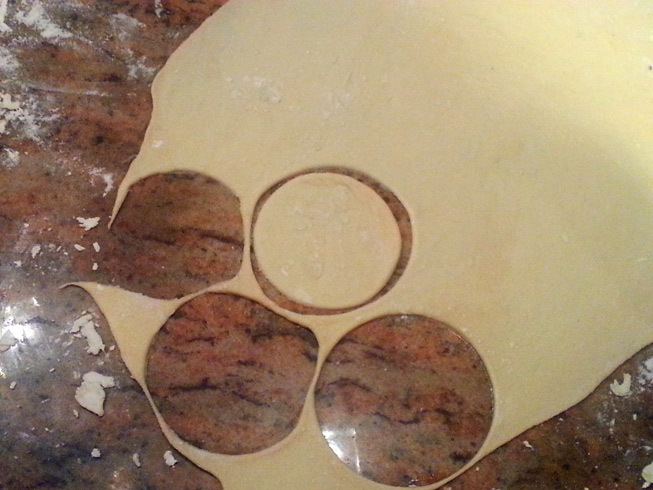 Cut the dough in thirds. 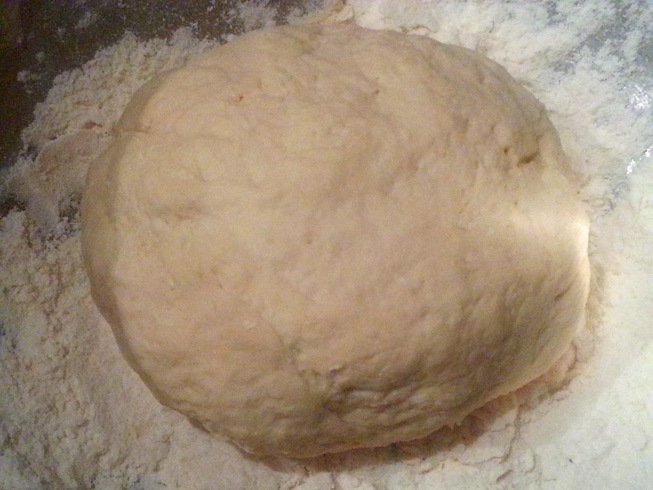 Roll out the first third of dough to about 1/8 ” (2 – 3 mm) thick. Cut out circles with a cookie cutter or with a glass. Pit about 8 cherries at a time, the sour cherries in US are watery and if you pit them too soon, they will loose all the precious juice. 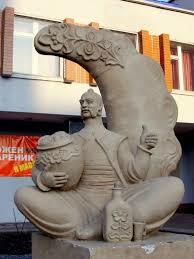 We want to keep the juice inside the varenik, it will cook with sugar and the berry and turn them into deliciousness. 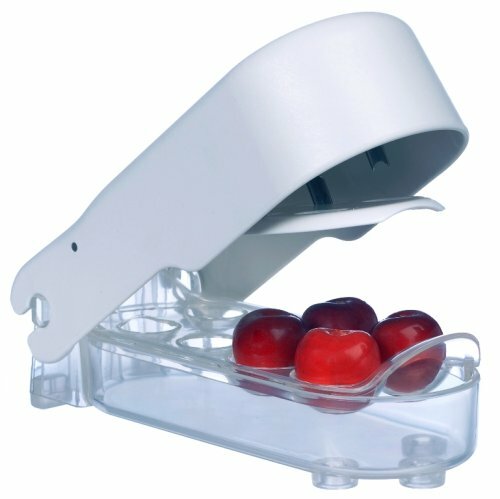 I use this nifty cherry pitter from “Progressive” to pit cherries. I got it on amazon.com. 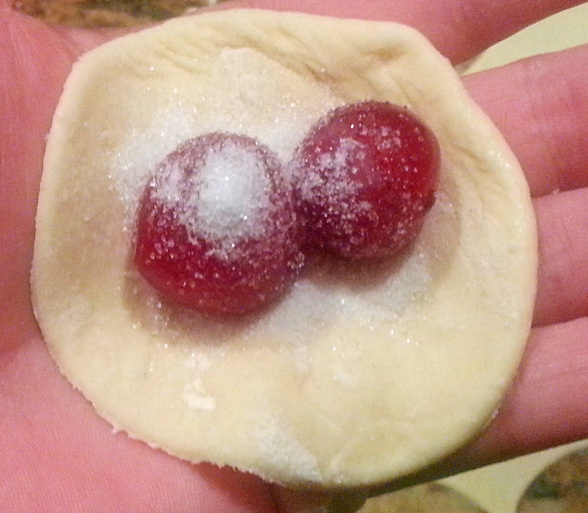 Take the dough into you hand, stretching the circle just a little more, place the just pitted cherries inside and sprinkle with a little bit of sugar. 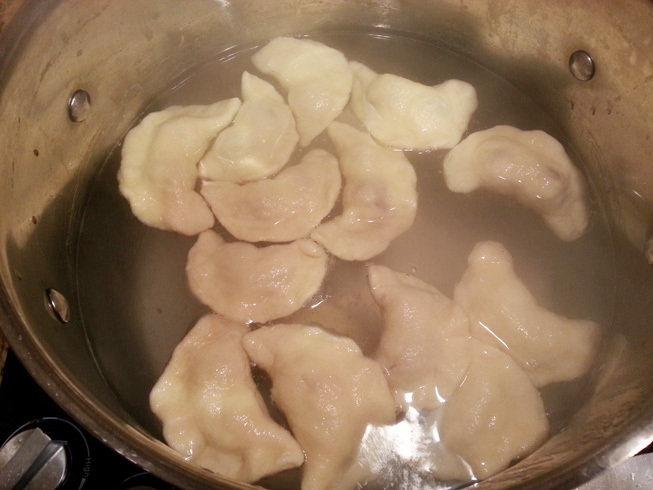 To cook the vareniki drop them in the simmering water. Don’t crowd them too much. This dough will puff up. As soon as they float up, let them cook for about 30 more seconds and remove to a plate right away not letting them touch, pour melted butter over them and let them cool a little before you put them in a bowl. 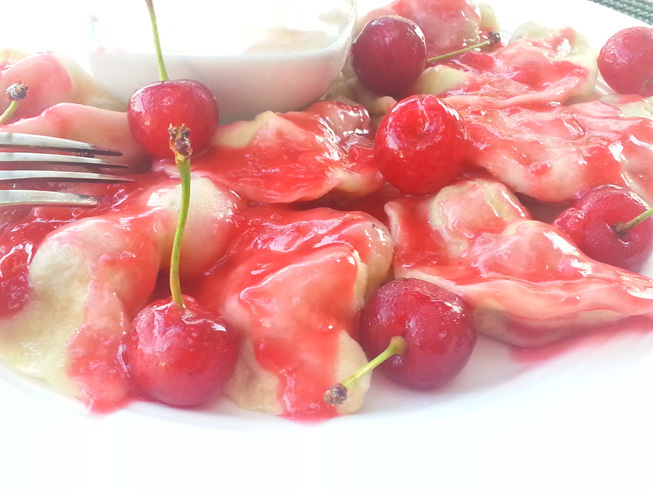 Plate the cherries, douse them with the syrup, sour cream , and dig in. Mmmm.